With a surge in mobile phone users, innovative focus seems to have shifted from the desktop (or for that matter, laptop) to mobile phones. Today, the mobile app development is graduating in a major flourishing career and has truly revolutionized businesses all over. In turn, the demand for this technological revolution in businesses has created a niche market for mobile apps paving a great career for entrepreneurs as well as mobile app developers. These tech-savvy business owners have stirred up a storm in the way we look at mobile apps in terms of innovation and user-friendliness. 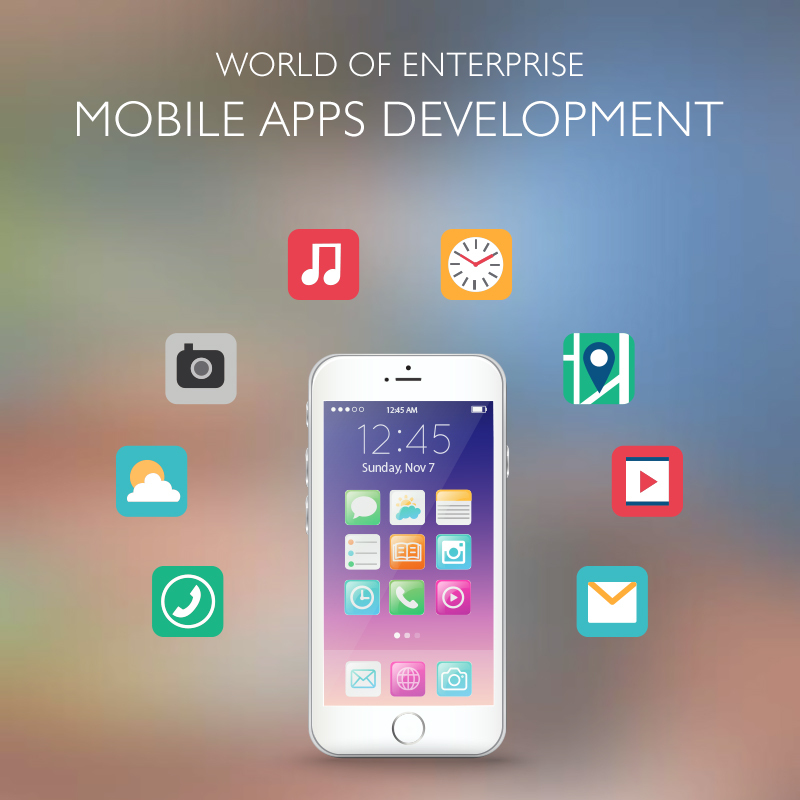 What Caused This Insatiable Demand For Mobile Apps Development? Today, business owners and CEOs are now more focused on just data-mining; they want an aspect of business intelligence to be incorporated. Hence, whether it is modern document-processing methods in SharePoint or the new-in-market Office 365, enabling intra-team communication via chat, or using Salesforce CRM data, newer business intelligence tools are in vogue today. This also ensures that no key data is lost due to stand-alone systems and is instead retained with the help of mobile apps development. 1)	Employee Engagement: Employee engagement and getting feedback useful for nourishing the company are some of the challenges that the corporate world as been facing over the years. With the help of modern mobile apps, employees get a platform to be more participative in a firm’s decision. They can understand the business ethos better and can provide more insightful information to the management. Enterprise Mobile apps development is also a good way of communicating changes to the employees so they feel connected with the business. 2)	The Emergence of BYOD: BYOD or “bring your own device” has been a trend in many companies for some time now. Although not considered entirely safe, citing reasons of data loss and data integrity issues, the emergence of modern data management techniques such as MDM (master data management) has certainly brought a ray of hope for the companies practicing a BYOD policy. 3)	Focus on Device-level Security: Device-level security has been a focal point of the security infrastructure in firms for ages now. An introduction of this concept in the mobile app development industry is definitely foreseeable with more apps expected to be churned out to strengthen device-level security that will ease data loss concerns in the BYOD domain. 4)	Enterprise-level File Storage and Sharing: How do you make data accessible enterprise-wide? The answer lies in the modernistic approach to mobile app development and in technologies like cloud computing and the likes. Today, the mobile apps industry is focused on enabling greater centralized accessibility to data and multi-device sharing. 5)	Increased Productivity: Chances are that you have or have not heard about EMM (Enterprise Mobility Management). For the uninitiated, EMM is an emerging discipline of IT dealing with management of mobile phones and wireless network at work. Simply put, this means that an employee will get the freedom to work from anywhere. A greater mobility provided to employees to complete their tasks at their own comfort spells more productivity for the firm. 1)	Need for Companies to Stay up-to-speed on Mobile Adoption: With more and more companies opting to go the BYOD way, developers face a tough challenge as well as foresee lucrative times ahead to stay in tune with the rate of mobile adoption by the workforce. IT infrastructure in every company needs to be rebuffed to accommodate this new fascination with mobility. At the same time, companies need to deploy tighter IT security policies to better govern the usage of mobile phones at work. 2)	Multiple Platforms to Choose From: With diverse operating systems comes another issue – providing apps for multiple platforms. So, while one set of users may prefer iOS, the other would prefer Android. Companies will have to factor in this before going for a total BYOD policy. 3)	Integration with Enterprise Back-end Database: Another time-consuming obstacle is the need to integrate mobile apps with enterprise’s back-end systems such as web portals, ERP, CRM, etc. How will This Revolution Affect Small and Medium Enterprises? One question that pops up in our minds is whether mobile apps development will cater to the SME world (Small and Medium Enterprises). The answer is a definite yes. With a growing number of tech-savvy population, smaller businesses can also harness this trend and improve their customer base. 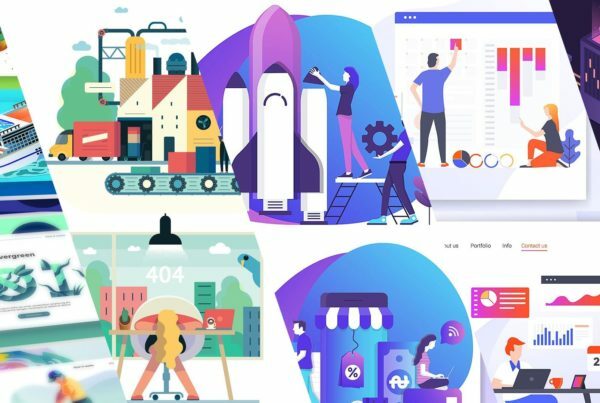 Since, enterprises are already deploying modern mobile apps to grow their business; the enterprise mobile apps development market has a better future in the SME world. The future of mobile apps development is a lucrative field for both developers as well as enterprises and is a win-win situation for both given its advantages.